Sony has changed its focus regarding interchangeable lens cameras (ILCs) from manufacturing DSLR models to mirrorless ILCs. 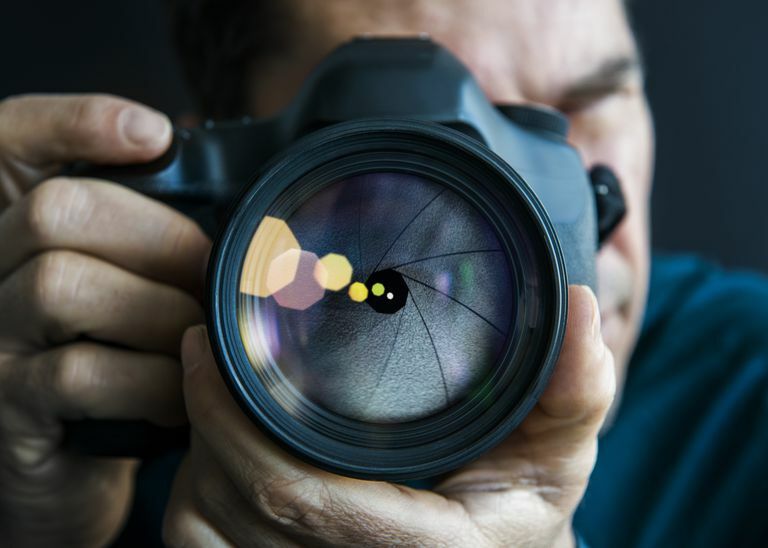 However there are still plenty of Sony DSLR models that are available in the digital camera marketplace, and they are reliable pieces of equipment for advanced photographers. However, as with any type of consumer electronics, you may experience a problem with your Sony DSLR camera. Regardless of whether you see an error message on the Sony camera's LCD screen, you can use the tips listed here to troubleshoot your Sony DSLR camera. Because the Sony DSLR camera makes use of a larger battery pack than you’d find with a point and shoot camera, it can be a tighter fit to insert the battery pack. If you’re having problems inserting the battery pack, use the edge of the pack to move the lock lever mechanism out of the way, allowing the battery pack to slide more easily into the compartment. With some Sony DSLR cameras, the LCD monitor will turn itself off after 5-10 seconds if there is no activity to conserve battery power. Just press a button to turn the LCD on again. You can manually turn the LCD on and off by pressing the Disp button as well. There are several potential causes for a Sony DSLR camera to be unable to record photos. If the memory card is too full, the flash is recharging, the subject is out of focus, or the lens is not attached properly, the camera won’t record new photos. Once you take care of those problems or wait for those problems to reset themselves, you can shoot the photo. If your Sony DSLR camera’s built-in pop-up flash unit won’t work, try these solutions. First, make sure the flash setting is either “auto,” “always on,” or “fill.” Second, the flash might be recharging if it fired recently, leaving it temporarily inoperable. Third, with some models, you must manually flip up the flash unit before it can fire. If you’re using a flash hood, lens hood, or a lens filter, you might notice this problem. You’ll have to remove the hood or filter. If your finger or some other item is partially blocking the flash unit, you may also see dark corners in your photo. If you're using a flash unit, you may notice dark corners because of shadows from the lens (called vignetting). If you see dots on your photos when reviewing them on the LCD screen, most of the time, this is caused by dust or heavy humidity in the air when you shoot a flash photo. Try shooting without a flash if possible. You also might see some tiny square dots on the LCD. If these square dots are green, white, red, or blue, they likely are a malfunctioning pixel on the LCD screen, and they are not part of the actual photo. Finally, when troubleshooting Sony DSLR cameras, you can attempt to reset the camera if other troubleshooting attempts fail. You can remove the battery and memory card for about 10 minutes, then reinsert the battery, and turn on the camera again to see if the problem clears. Otherwise, perform a manual reset by looking through the camera’s menus for the Record Mode Reset command. Are You Using Your DSLR's AF Modes to Their Full Potential?